You’ll love Kitterman’s incredible purr! Kitterman’s charm is evident as soon as you meet him. He is a loyal and loving companion who wants nothing more than to be a good pet, and with a loud and encouraging purr he will endear you to love him. You best make room on the couch next to you, because he’ll also want to cuddle and press himself against your legs. He loves staring out the window at birds and making chirping noises when he sees them move around. If you offer him a chance at playtime, Kitterman will happily forsake his window spot for a chance to bat at his wand toys. If you’re interested in meeting Kitterman (ID 31808793), check out his profile to learn more. And even better – Kitterman qualifies for the senior citizen discount! The Seattle Animal Shelter, located at 2061 15th Ave. W., is open noon to 6 p.m. Tuesday-Sunday for adoptions and licensing. For more information, call 206-386-PETS (7387) or visit www.seattleanimalshelter.org. Sprightly and playful, this girl is all legs, eyes and ears! Frida, aka “Frito” (ID 33465143), is a playful Chihuahua/Italian Greyhound mix. Although one of her legs was recently amputated, it hasn’t slowed her down! She loves to play fetch and can run — FAST. She would love to live with a compatible, playful dog, although one who won’t be too rough with her. She’s 2 years old and only 7 pounds and is looking for a forever family who will help complete her housetraining. Is Frida the dog for you? Visit her profile to learn more about her and how to meet her. She’s currently in a foster home, not at the shelter. 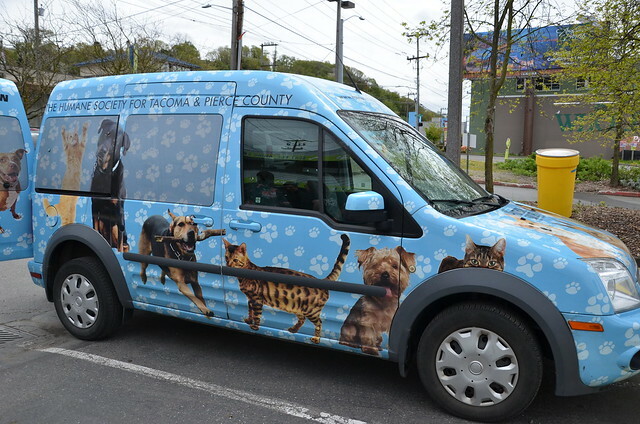 The Seattle Animal Shelter is open noon to 6 p.m., Tuesday-Sunday, for adoptions and licensing. For more information, visit www.seattleanimalshelter.org or call 206-386-PETS (7387).